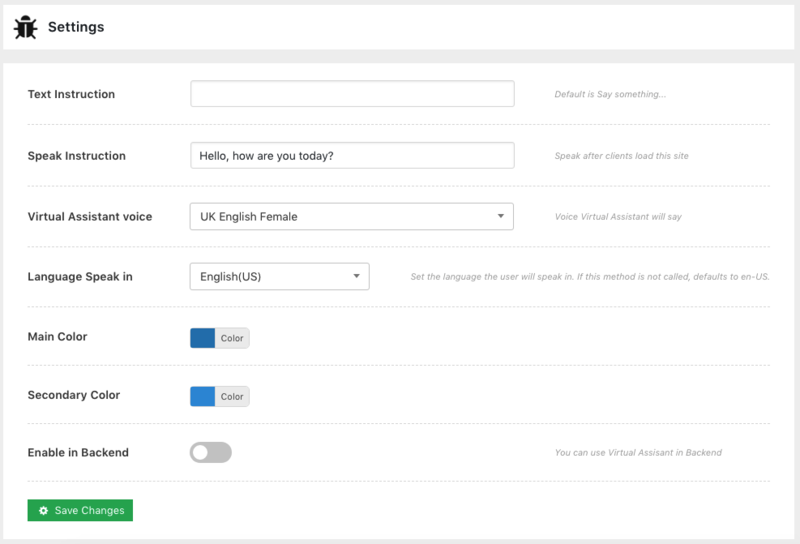 Virtual Assistant, Voice command for Wordpress, build your own Google Now, Siri or Cortana. 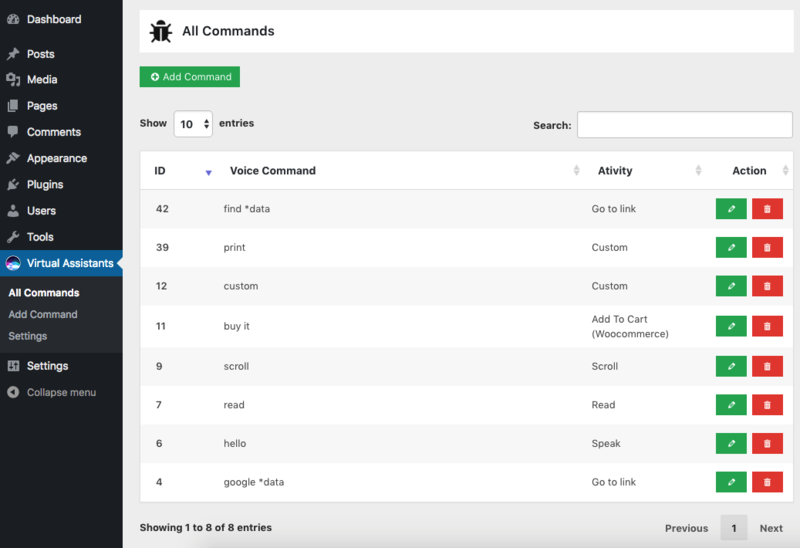 Unlimited Voice Commands you can create for Virtual Assistant. And more features what you want, just tell us. https connection is mandatory. 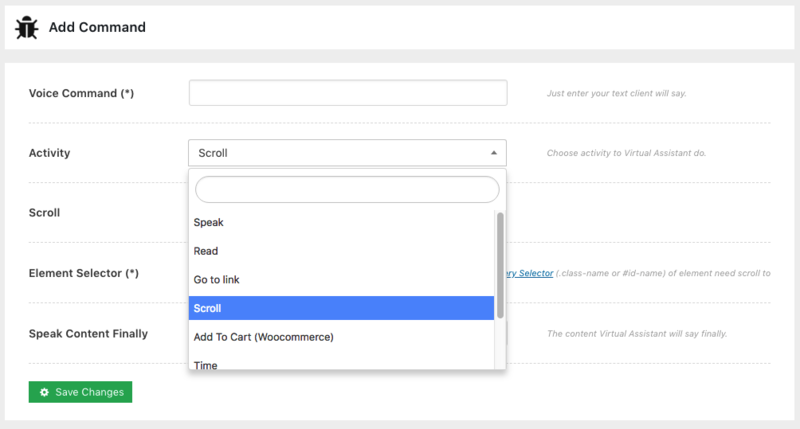 If your website doesn’t have a ssl certificate (https connection), a dialog will be prompted every time you load a page or after every vocal command (depending by browser and settings). Voice is converted into text using webkitSpeechRecognition so an active internet connection is mandatory. Plugin works properly only with Google Chrome due the fact it uses webkitSpeechRecognition. It has been tested also with lastest versions of Firefox, Opera, Safari and it works, but full working is guaranteed only with Google Chrome and Opera. On demo site you can find a test page that allows you to know if either speech synthesis and speech Recognition works on your browser.